Blackjack Switch is one of the most enjoyable variations of the classic blackjack game, and will take you only a couple hands to get the hang of. With a low house edge and a neat side bet, this variant is a must try for all casino and blackjack enthusiasts. *An original player blackjack is a hand that is dealt blackjack prior to any switches (also referred to as a natural blackjack). An option for insurance is available, but taking insurance is not recommended in blackjack. Under the above rules, the overall house edge is approximately 0.58 per cent (and fluctuates ever so slightly if the rules are adjusted (see below). In all cases, the house edge remains below one per cent when correct strategy is applied. In some variations, the European format is followed where the dealer does not take a hole card. Some games will also force the dealer to stand on all 17s. The ‘Super Match’ side bet adds another element of fun to the Blackjack Switch game. Holding a house edge of approximately 2.55 per cent, this side wager is one of the better blackjack side bets you can place in terms of risk vs reward. It is based on the player’s first four cards dealt, and awards a payout if any cards match one another (regardless of suit). 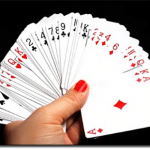 This side wager is resulted as soon as you have been dealt your first four cards. This is a simple ‘switch’ formula that can be adhered to to boost your chances of success. Blackjack Switch is powered by the esteemed gaming software provider Playtech. Playtech games can be found at licensed and regulated online and mobile casino sites such as Casino.com..
As the number of online gaming titles across reputable gambling sites continues to increase, we can expect to see Blackjack Switch become available for real money play in the near future. 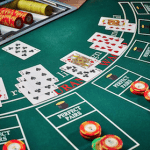 Head to any of the following Internet casinos to check out the collection of other blackjack games, as well as a host of real money roulette variants, baccarat titles, hundreds of pokies, video poker, poker table games, sic bo, craps, keno, bingo, instant win scratch cards, virtual sports and racing games, and other favourites exclusive to online gameplay. Players aged 18 years and older in countries where online gambling is allowed can legally access the above real money casino sites, and securely deposit, play with and withdraw funds via any of the several globally trusted banking methods available within the cashier section of your online casino (including debit and credit cards, e-wallets such as Neteller and Skrill, pre-paid cards and direct wire transfers).